The Soyuz spacecraft successfully docked with the International Space Station (ISS) delivering the new crew, after launching six hours earlier from the Baikonur Cosmodrome on Wednesday. The Soyuz rocket carrying a Soyuz TMA-13M spacecraft successfully lifted off at 11:57 p.m. local time. 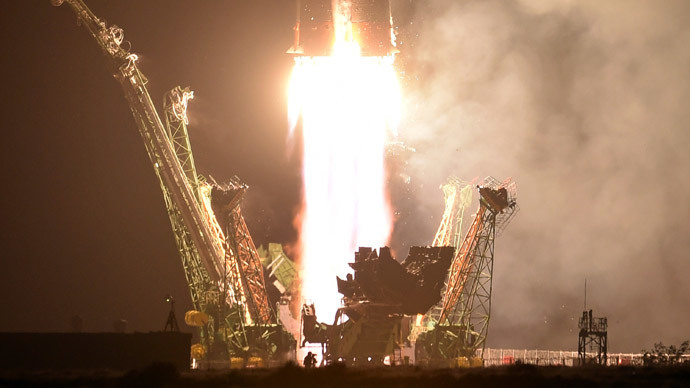 The spacecraft was piloted by Russian commander Maksim Surayev, American flight engineer Gregory Wiseman, and European astronaut Alexander Gerst. 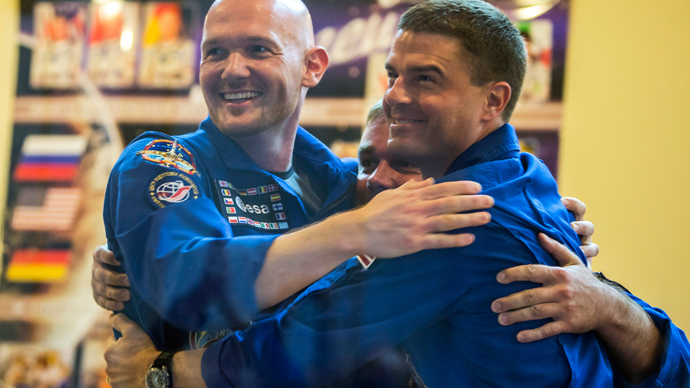 The three space travelers are scheduled to spend five and a half months on the ISS. They have joined American Steve Swanson and Russians Oleg Artemyev and Aleksander Skvortsov, who have been at the ISS since March 27 and are scheduled to return to Earth on September 10. The crew will conduct several experiments while at the ISS. “The tenure of Expedition 40 will include a variety of research projects focusing on human research, biology and biotechnology, Earth and space science, physical science investigations, technology demonstrations and educational activities,” according to NASA statement. Two Russian and three US spacewalks are also scheduled for the mission. The 40th International Space Station crew gave a joint press conference in Baikonur, Kazakhstan on Tuesday amid high political tensions between Russia and the West. During the conference, the crew could not escape questions on how their personal relations have been affected by tensions between world powers on Ukraine, which have already endangered US-Russian space cooperation. Their message was simple: friends will be friends. “This is our answer,” astronaut Wiseman said in Russian. “Yes, this is our answer for everyone to see,” cosmonaut Suraev added.